As Florida continues to experience increased visitation year over year, VISIT FLORIDA recognizes the importance of exceptional guest service and ensuring visitors have a memorable and enjoyable vacation in our state. This year, VISIT FLORIDA is beginning some initiatives to provide the industry with hospitality training resources–one being a series of monthly guest service tips to empower your front line staff. The April Guest Service Tip of the Month is…Be Family Friendly. 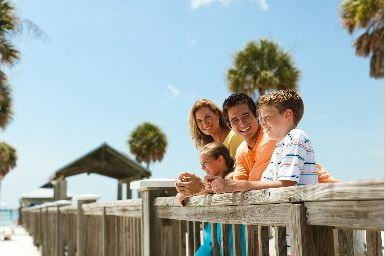 Did you know families make up roughly a quarter of the domestic visitors to Florida? To attract these visitors, your business needs to be family friendly. Hotels and accommodations might consider designating a “kid’s corner” in the lobby with activities about Florida, coloring sheets or games. Restaurants can provide a little something to nibble on as soon as a family is seated to keep kids happy and occupied, making everyone’s dining experience more enjoyable. No matter your type of tourism business, remember that traveling with children isn’t always easy, and anything you can do to help your guests’ vacation be stress-free will definitely be appreciated, increasing the likelihood they will return on their next family vacation to Florida. We love the kids at Tom and Jerry’s Airboat Rides and love to show them the alligators and take them on wildlife tours.